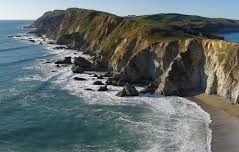 The Point Reyes National Seashore offers visitors an array of landscapes and native life. Comprised of open grasslands, brushy hillsides, tree-filled ridges and rocky headlands molded over the years by crashing ocean waves, each area of the park offers a unique experience. In total, the park hosts more than 1500 species of plants and animals. Over thousands of years, Point Reyes has also been home to people of several cultures. Today, the stories and interactions of people with each other and the nature around them are preserved throughout the park. Are you ready to discover all that Point Reyes has to offer?